Sometimes, our new Yoga teacher courses can raise a lot of questions. The following is a sample of the questions related to our latest “economy” Yoga teacher course. Q: You have often said that the Level 1 training is just a taste of teaching Yoga. 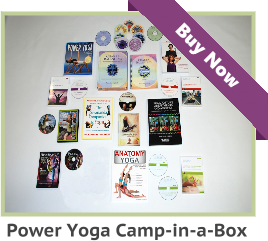 Why did you develop a more streamlined Yoga teacher certification course? 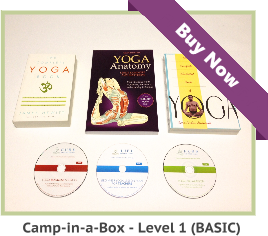 A: It is true that any Level 1 Yoga certification should contain foundational knowledge. Each teacher must take gradual continuing education steps. Competence in teaching others about any subject is based upon what we know and how we communicate it to our students. With that said, I felt it was time to make a more streamlined and economical course, which still developed a good foundation and included half of the business materials. Unfortunately, money and the global economy are issues we have to live with; therefore, a more affordable option made sense. Q: Is this diploma credential the same as a CYT 240? A: The Yoga teacher diploma credential is a CYT. 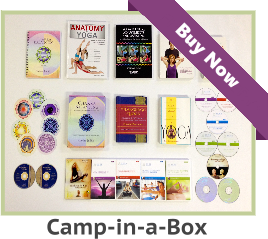 To be specific, it is a “CYT 200.” Graduates of the Camp-in-a-Box Basic receive a 200-hour Yoga Teacher’s diploma, which is the International standard for teaching classes. Q: Would the exams for this Yoga teacher course include the practical exam, as well, and does the package also include the guidelines about preparing for the practical exams? A: There is a practical exam, written exam, and an essay requirement. The Basic course does include detailed instructions for your practical exam.